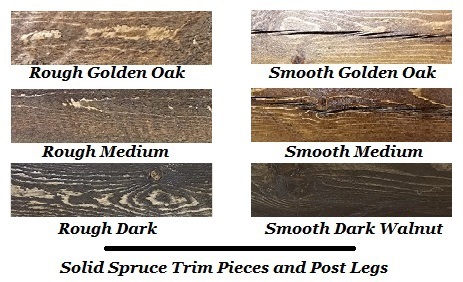 Colors: First choose your stain for the Posts/Trimming between Rough or Smooth Dark Stain, Medium Stain, or Golden Stain. 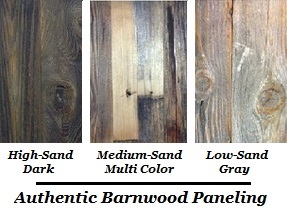 Then choose your finish of Authentic Barnwood Panels out of High-Sand Dark, Medium-Sand Multicolored, and Low Sand Gray Options. 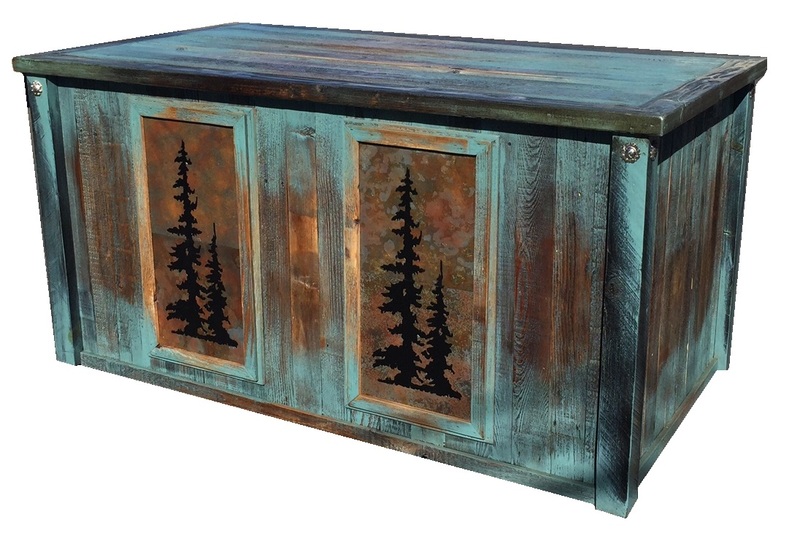 Last if you want to add a color upgrade to your finish select from a Touch, Frosted, or Rubbed option in Turquoise, White, Red or other paint color for 15% more. Add $40 for Nailheads. Custom Configs and Dims avail. Custom Configs and Dims avail. Includes Ball Bearing Glides. 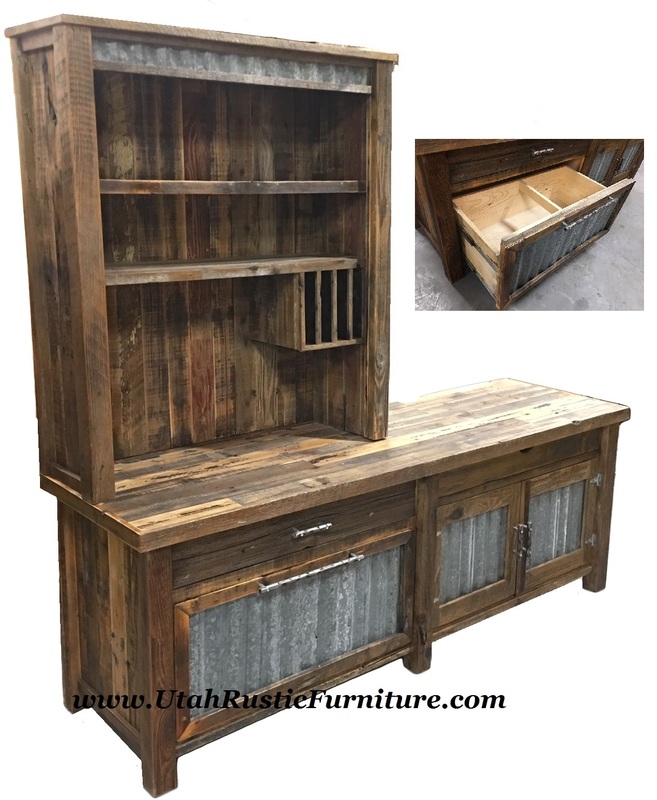 Western Plains Barnwood Secretary Desk w/Hutch and Corrugated Metal Accents. 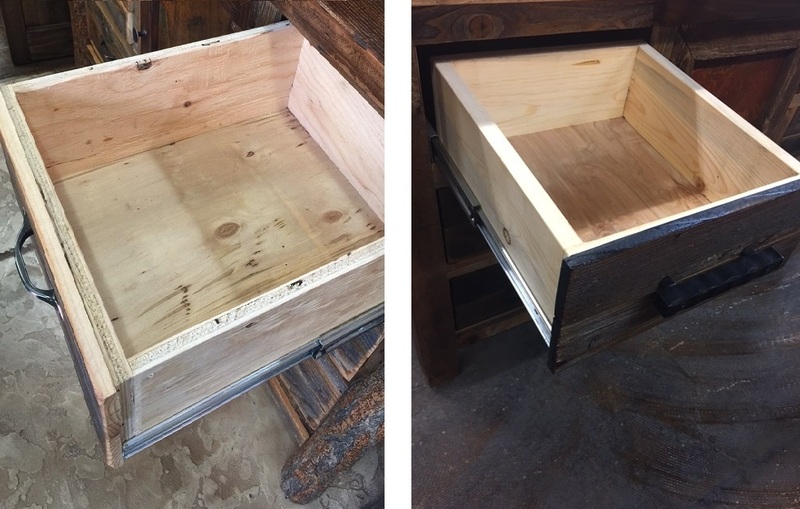 Features an oversized File Drawer and Fold-Down Pencil Drw. 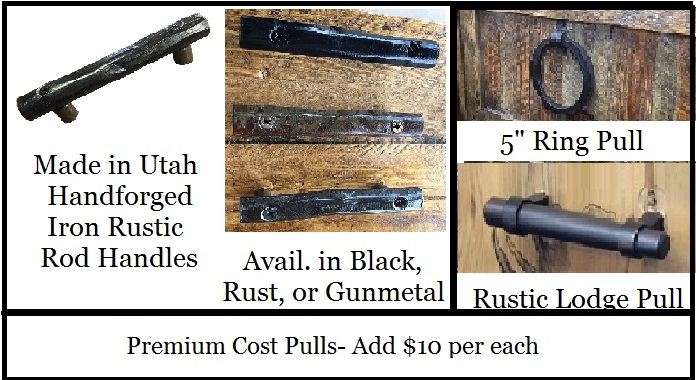 Choose from Branch, Ring, or Log Handles - Includes Premium Dr Framing and Full Extension Ball Bearing Glides - Custom Sizes and Configurations Avail. 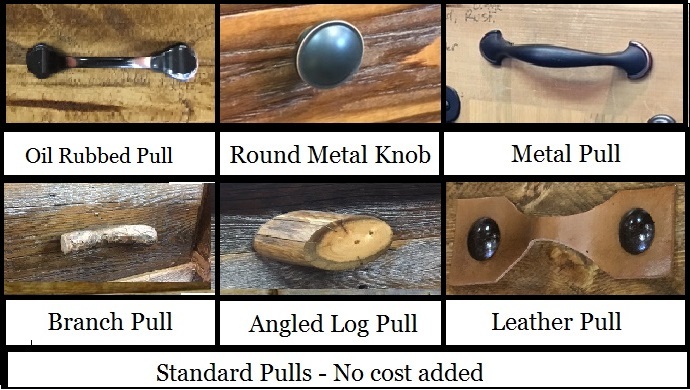 Can also add Branch, Ring, or Log Handles - Includes Premium Dr Framing and Full Extension Ball Bearing Glides - Custom Sizes and Configurations Avail. 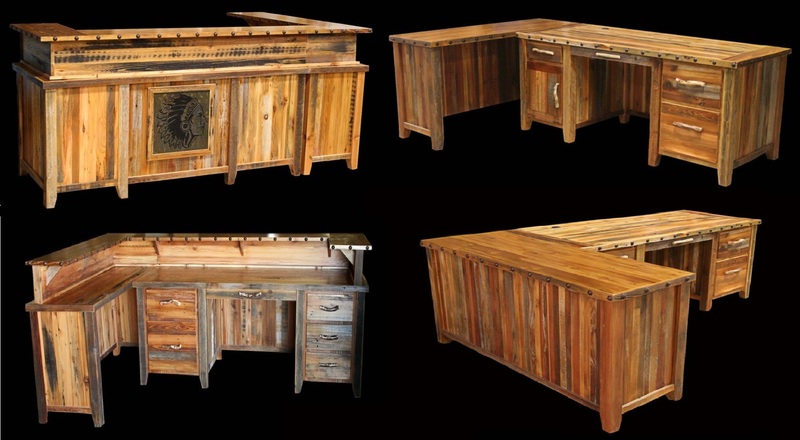 72" w x 36" d x 30" h* (Choose from Pine Valley, Moonlit Spruce, Elk, Bear, Deer, Skier Etc. 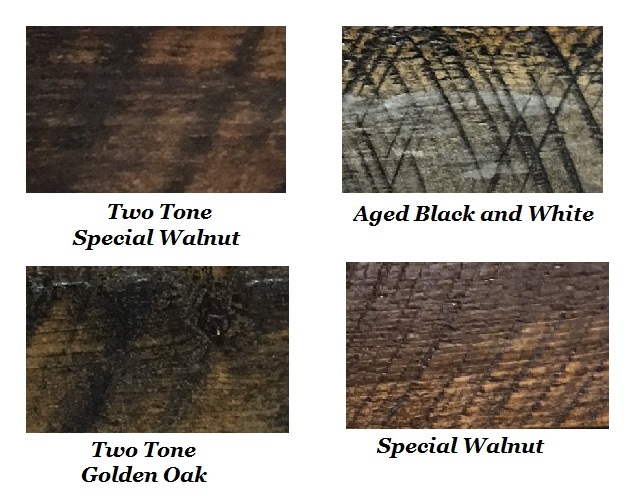 Slate) $2399 Choose from Branch, Ring, or Log Handles - Includes Premium Dr Framing and Full Extension Ball Bearing Glides - Custom Sizes and Configurations Avail. Custom Sizing Available Can encase the side for $40.